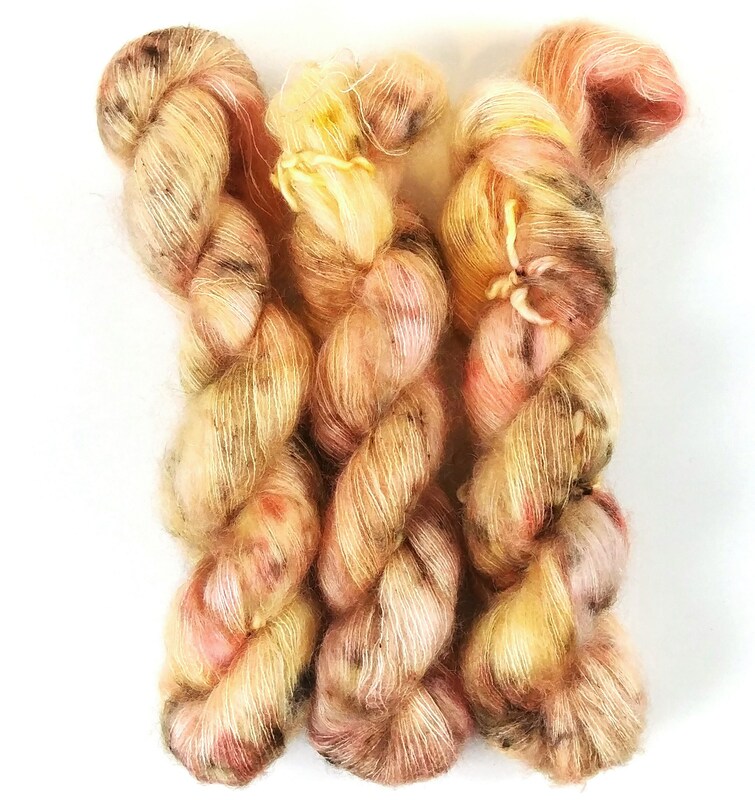 Hand dyed Mohair silk lace weight yarn. 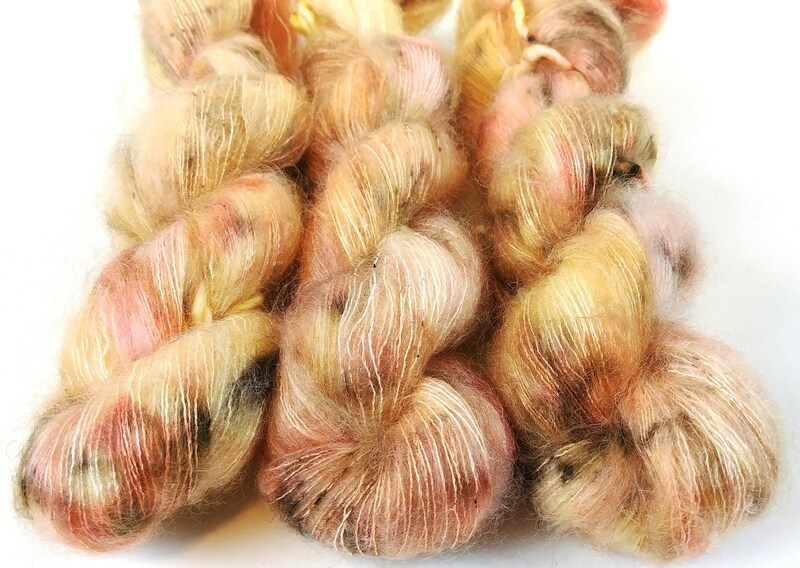 This listing is for 1 skein of Dandelion Mohair. Pop the Bubbly is amazingly gorgeous. I'm so glad I picked it!